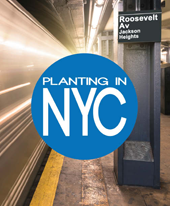 As Adam and I learn about the many people we will be ministering to in New York City, we are eager to share what we learn with our readers so that they may pray with this information in mind, helping to intercede on our behalf and the lost peoples in the Jackson-Heights communities. Festival Season for Hindu peoples is in full swing in India as well as in parts of Jackson-Heights, Flushing, and other areas of New York City. In India, the festival season begins with a 10-day celebration honoring the Hindu god Ganesh (Aug 29-Sept 8). People bring giant idols of Ganesh into their homes. They worship him for 10 days, then they carry him in procession for immersion in the nearest large body of water. September's end will see nine days of celebration known as Navratri (Sept 25-Oct 3). The word “Navratri” literally means 9 nights. People will dance far into the night, worshiping the goddesses of the harvest, specifically the deity, Durga. In NYC, entire communities are very involved in these celebrations and worship of their gods and goddesses during this important major festival. Hindu temples offer free celebrations, engaging in dance programs and cultural events. The 9 days of Navratri, Hindu believers fast, eating only fruit. Will you pray right now for the Hindu people residing in Jackson-Heights, that we may engage them with the gospel? Will you also consider taking one day during Navratri (Sept 25-Oct 3) to fast and pray? Pray for the Light to shine this dark month. Ask the Holy Spirit to break through the evil, that God may reveal himself in miraculous ways. Pray for Christian Indian believers to stand firm and bold before their neighbors and families. Pray for the Hindu background congregation of the church plant and the leaders. Pray for the South Asian Center and other centers like it. Pray for the Christian workers in India. 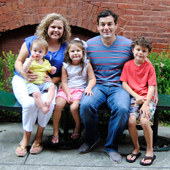 Pray for Adam and Erin as they learn knowledge about Hindu people and seek ways to share Christ. We want to praise God that our first few donations have come in!! Thank you Lord!! One of our first monthly gifts of $25 comes to us from the West Coast. Our first gift to the launch fund is $5,000 and comes from the East Coast. We are encouraged that God is raising up supporters for the Jackson Heights Church Plant from all over the United States! As you probably notice, these two gifts are quite different in terms of amount but God will use every single penny for His work to be accomplished. Every dollar counts and we are so thankful for those who give toward our needs both out of a spirit of generosity as well as those who give with a sacrificial heart. May God bless the gift and the giver! Will you consider giving financially in the form of an annual gift, monthly gift, or toward our launch fund? Annual and monthly donations will go directly toward the $10,300 we need per month to live in NYC and begin phase one of the church plant. We need to raise an additional $16,000 for the launch fund. This fund will allow us to pay 4 months rent, which is what is needed to secure an apartment in NYC, as well as provide for our moving expenses to Queens. Our family is entering a season of urgency for these funds to begin to pour in. Our goal is to move in January so we can transition our son into his new school after the holiday break. Ministry is also a bit slower in NYC from December to March, therefore it is a great time to move and figure out how to live in and navigate the city. Will you give? Will you encourage others to give? Will you speak to your church on our behalf? We are eager to come and speak to church groups and others who are interested in how they can partner with us. If you can’t give, will you pray that God will prick the hearts of others to give? Will you pray for our family and for the lost people in Jackson Heights? Click here to join our support team through prayer, providing, participating. If the Lord is prompting you to financially give in any of the 3 ways listed above, please begin your monthly giving today! 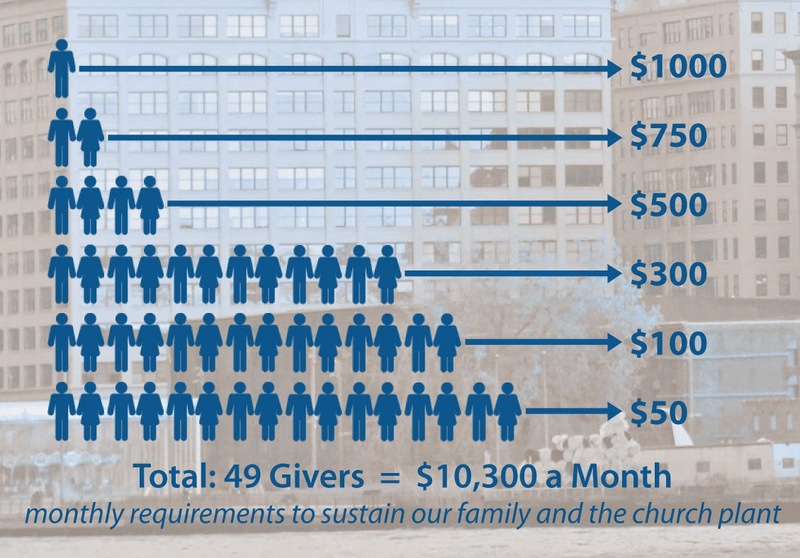 Below is a diagram that presents various levels of giving for people, churches and businesses. Even though we are not in NYC yet, the monthly donations will be directly applied to our launch fund until we actually move. This is why we are encouraging others to set-up their online giving today. Our family cannot move until we have raised all the launch funds and secured all commitments for monthly donations! Thank you for the overwhelming support we have received these past few weeks since we have made the big announcement. Words of affirmation, phone calls, texts, cards, hugs, and prayers have been in abundance and we have felt so very loved! Thank you for your investment in us! Thank you for your investment in God’s Kingdom! We love you!